UK dance music lovers, I have a massive treat for you. 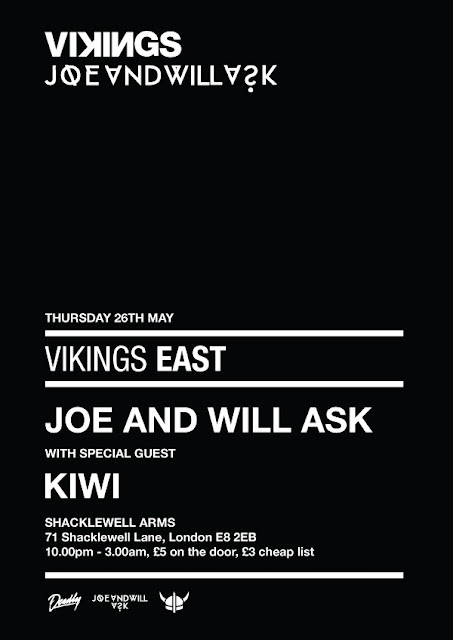 Joe and Will Ask's Vikings night is moving to The Shacklewell Arms, Dalston, a joint venture between members of Field Day, Pub on the Park and Eat Your Own Ears. 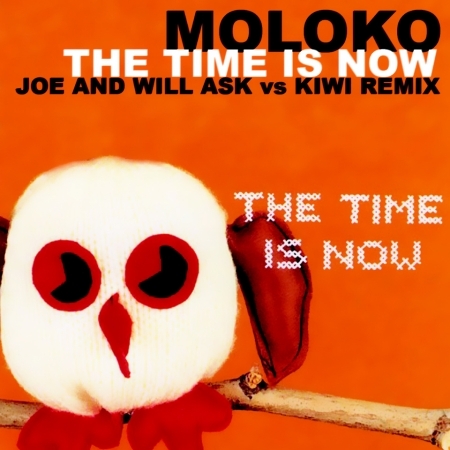 To celebrate this fantastic news, Joe and Will Ask are sharing a brand new remix of the 2000 Moloko hit, "The Time Is Now." "Alex (Kiwi) has been a good friend of ours for a while, and he completely blew us away with his last couple of DJ sets. We decided to go to the studio with no plan and just to have some fun, and for some reason this Moloko track came up. We absolutely love it, and had wanted to do a version of the track that we could play out for ages but never found the right way to do it, but after a couple of hours with Alex, we had pretty much nailed it! We wanted to keep as much of the original as possible while giving it the open-air summer roof party sort of feel with the bassline. We're so happy to have him playing at Vikings!" Vikings (now at The Shacklewell Arms) is a club night like no other. Brought to you by "dance music pioneers," Joe and Will Ask, Vikings takes place on the final Thursday of each month and features Joe and Will spinning into the wee hours of the morning. "With Vikings you can guarantee a few things; the line up will be major, the atmosphere electric and the night itself will be memorable. Having brought the likes of Boy 8 Bit, Matt Wlash, Bowski, Eskimo Twins & Coin Operated Boy to some of London's most intimate venues, Vikings always provides some riotous tomfoolery." Reason #1,045,450,000 that I wish I lived in London. Check out the poster below for details about the next gig, Thursday May 26th and download this new Moloko Mix. Amazing. "Happily Ever After" is the latest single from Tacoma Washington-based indie pop band He Is We. Signed to Universal Motown, the duo (AKA Rachel Taylor and Trevor Kelly) released their debut album, My Forever last December where it went on to hit #6 on Billboard's Heatseekers Album Charts. The music that Rachel and Trevor make together is absolutely charming and the chemistry the two share in the video is magical. Taylor is darling and really showcases her personality in the video. Her voice is commanding yet just soothing, sounding just a little bit like one of my favorite singer/songwriters, Maria Mena (she kinda looks like Mena too, no?) Check out the super cute video for "Happily Ever After" below. Earlier this month, on his radio weekend countdown show, American Top 40, host Ryan Seacrest crowned "Happily Ever After" as the "Breakout Song of the Week," which is pretty impressive considering past artists lucky enough to garner that accolade include Madonna, Beyonce, Kelly Clarkson and others. Amazing new find! Download their album, My Forever, on iTunes HERE.